Report: Marijuana Is the Fastest Growing Job Sector in the U.S. According to a new report by cannabis website Leafly and consultancy firm Whitney Economics, the United States added 64,389 full-time legal cannabis jobs last year — a 44 percent increase in the weed workforce in 2018, meaning it’s the fastest-growing job sector in the U.S. right now. The report calls it “America’s hidden job boom,” estimating that more than 200,000 people work full time in the U.S. cannabis industry — and counting related jobs, like accountants and lawyers, that number rises close to 300,000. Moreover, those numbers are projected to keep rising over the next few years. Legal cannabis is here to stay, and it’s quickly becoming one of the fastest rising job makers nationwide. The legal cannabis industry is now worth over $10 billion, according to the report, having increased a whopping 34 percent nationwide in 2018 alone. California and Florida are alone expected to add 10,000 and 9,500 full time jobs in 2019 respectively. “There are now more legal cannabis industry workers than dental hygienists in the United States,” reads the new report. But the numbers don’t necessarily tell the full story: after all, the use of marijuana is still technically illegal on the federal level, despite ten U.S. states legalizing recreational marijuana with more likely to follow. 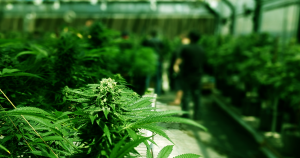 While hiring has slowed significantly in February nationwide according to the Bureau of Labor Statistics, the marijuana industry is alive and well.